There’s good news for smaller medical practices. Updates to MACRA, which replaced the PQRS program and meaningful use, will make it less likely for practices with 2-9 physicians to receive a neutral or positive adjustment. Projections in 2014 had estimated that more than 85 percent of independent practices would receive a negative adjustment under the new MACRA payment policies with a predicted loss of $300 million in the initial year of implementation. An impact analysis revealed that smaller practices and those in rural areas would be worst affected. In response to this, the CMS introduced more flexibility and support for practices with fewer than 15 providers and those serving rural areas. Under the Quality Payment Program of MACRA, eligible clinicians can choose one of two payment models – MIPS or APM, i.e., merit-based incentive payment system or alternative payment module. In the initial reporting year, 2017, MIPS scores were calculated in four categories – cost, quality, advancing care information, and clinical improvement. The performance in the year 2017 will affect reimbursement in 2019 with providers receiving either a plus or minus adjustment up to 4 percent in Medicare payments. Under MIPS, clinicians are required to track and submit a minimum amount of performance data, for example, quality information for a period of 90 days or more with one measure being reported for the full year. To avoid penalties in the payment year 2019, practices must submit performance data in one of three reporting categories. Non-participation will result in a 4 percent negative adjustment in Medicare payments. 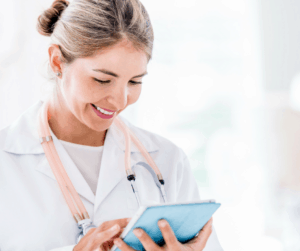 Smaller practices will benefit from increased flexibility in submitting data, and this will bring them up to par with larger healthcare organizations. According to the CMS, it is estimated that at least 80 percent of independent solo or small practices will receive a neutral or positive adjustment. The CMS has developed a new website to help clinicians navigate MACRA and the Quality Payment Program. Rural and smaller practices are eligible to receive funds from the Healthcare Payment Learning and Action Network towards obtaining technical assistance for reporting data. Complying with regulations and investing in technology is especially challenging for smaller practices as they do not have the same resources as larger healthcare organizations. By outsourcing claims-related tasks to an expert third-party provider, smaller practices can benefit in terms of both time and money savings because these service providers have access to the latest technology and knowledge of current MACRA legislation. Contact us to find out more about MACRA updates.